Unfortunately, you are probably reading this because either yourself or a loved one has been charged with a DUI. Because of your arrest, I know that you may be feeling embarrassed, helpless, scared and alone. I would like to take a moment and introduce you to myself and my firm, Huser Law Offices, P.A. I understand those feelings as I have been relied upon to defend thousands of people, just like you, over my 24 year career as a DUI Defense Attorney. 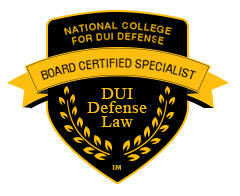 I am one of only two DUI Board Certified DUI Defense Specialists in the State of Kansas. 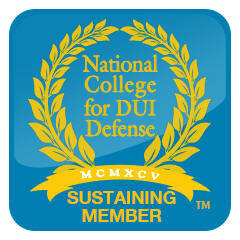 My Board Certification is through the National College for DUI Defense, which is the only American Bar Association approved DUI Board Certification program. I am also an Officer in the Kansas Association of Criminal Defense Attorneys, and have served on it’s Board of Governors for the past 10 years. You can find my resume here. 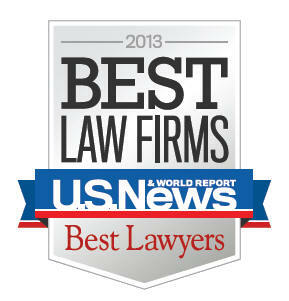 No Attorney in this area has more experience and credentials as a DUI Defense Attorney than I do. As a person charged with DUI, there are a number of things you should be aware of. When you get charged with a DUI there are, in fact, two (2) cases happening at the same time. The first case is the criminal charge of Driving Under the Influence itself, known as "Criminal Court". In addition to criminal court, there is a separate civil administrative hearing, called "Drivers License Court" conducted by the Division of Vehicles on the status of your driver’s license based upon whether you refused a chemical test or failed one. Criminal Court and Drivers License Court are two separate and distinct cases. Winning one of them does not ensure winning the other. A jury could find you NOT GUILTY in Criminal Court, and you could still lose your license in Drivers License Court. can be counted against you. In criminal court, first and second offense DUI’s occurring since July 1, 2001, and some third offense DUI’s are treated as misdemeanors. Most third offenses, and all fourth and subsequent offenses are felonies under Kansas law. If you were to be convicted of a DUI, there is mandatory fines and jail time for each DUI offense. However, on a first offense, the Judge, at his or her discretion, may order 100 hours of community service instead of the mandatory 48 hours in jail. The chart that you will find here sets forth the mandatory fines and jail time for each DUI offense. Please take a moment now to review that chart and see what you are facing. With any DUI conviction, the Court will require you to obtain a Drug & Alcohol Evaluation (essentially a psych test to see if you have a alcohol or substance abuse problem), and order that you follow the recommendations contained therein. Located in my building at 700 Rosencutter Rd, in Suite B, is L & L Assessment which is a State Certified provider of Drug & Alcohol Evaluations should your case require that service. Many people have heard of Kansas’ first time offender program called a diversion. There are a lot of myths and misconceptions surrounding it. In it’s purest sense, a DUI diversion is a contract between you and the prosecutor. The Judge has no part in the granting of a diversion. Prosecutors have sole discretion in whether to grant or deny a diversion pursuant to their guidelines. There are however, 3 things that will automatically exclude you from consideration for a diversion. That is: 1. A prior DUI diversion or conviction; 2. An injury accident occurring during this DUI case; and 3. You possess a Commercial Drivers License. The contract typically requires the accused to pay a fine; do some community service; obtain and follow a Drug & Alcohol evaluation; and to refrain from violating the law for a specified period of time. Another part of contract, requires you to give up your right to a jury trial; the right to confront the witnesses against you; and requires you to sign a stipulation of facts that you were DUI. At the end of the contract time, if you have done everything you agreed to, then the Prosecutor will dismiss the charges against you. You are, however, only allowed one DUI diversion in your life. If, after taking a diversion, you are ever arrested for DUI again in Kansas, the diversion will automatically count as a conviction and you will still be charged as a second time offender, even though the charges were dismissed. For some people, who have no reasonable chance of success, this may be an acceptable outcome. Diversion is an outcome to Criminal Court only. Diversion has no effect on Drivers License Court and will do nothing to save your driving privileges or your insurance rates from increasing if you are not successful in Drivers License Court. As of July 1st , 2011 a diversion or conviction for driving under the influence can be expunged, sealed or removed from your record. However, you must wait 10 years before it may be expunged. A diversion or conviction that has been expunged will still be considered as a "prior offense," if you were to be ever charged with DUI again. The second proceeding is called "driver’s license court." Drivers License Court is a separate civil administrative hearing conducted by the Division of Vehicles to determine the status of your license based on whether you failed or refused a breath, blood or urine test. At the time of your arrest, the officer seized your license and issued you a pink piece of paper (also known as a Form DC-27) and told you it was your drivers license. The Division of Vehicles has the authority under the Kansas Implied Consent law to take action against your license if you: 1. Refused a chemical test of breath, blood or urine; or 2. You failed a breath, blood or urine test. Many officer’s may mislead you by telling you the suspension for failing or refusing a test is automatic. THAT IS NOT TRUE! The suspension is only automatic if you don’t timely request a hearing. You only have 14 days to request a drivers license hearing. If no hearing is requested, you will automatically have your drivers license suspended on the 30th day after your arrest. Once a hearing has been requested, your driving privileges remain valid until the hearing. Due to current backlog, hearings are usually 3-5 months down the road. At that hearing, before an Administrative Hearing Officer, we can present evidence and arguments to keep your driving privileges. If you are wondering what the penalties are, you will find a chart here that sets forth the penalties for failing or refusing a chemical test based on the number of prior offenses you have had in your lifetime and your breath or blood alcohol level. The role of an experienced DUI Defense Attorney in this process is to first fully investigate the prosecution’s case. The prosecution is required to turn over to defense counsel any and all videotapes; police reports; if a chemical test of breath or blood was used, the log sheets, the calibration data, repair data, dispatch tapes; 911 calls; and anything else that show the weaknesses of the prosecution’s case or exonerates a citizen charged with this offense. After obtaining all of that material and documentation, the experienced Criminal Defense Attorney then reviews the material with the client, to determine what is the appropriate course of action, whether it be trial, pre-trial motions, negotiations, diversion or some other outcome. Once the preparatory work of investigation and analysis has been completed, then it is time to go to court. As my attached resume’ shows, I have over two decades of being a full-time criminal defense attorney. I have never at any point in my career been employed as either a full-time or part-time prosecutor. I am the only Attorney in my firm. I do not have any partners or inexperienced associate attorneys to pass work off on. Your case will be handled by me personally. If, after reading this, you have questions, please do not hesitate to make an appointment to discuss your case. Call us at (795) 537-4603 direct.